BELIZE CITY, Thurs. 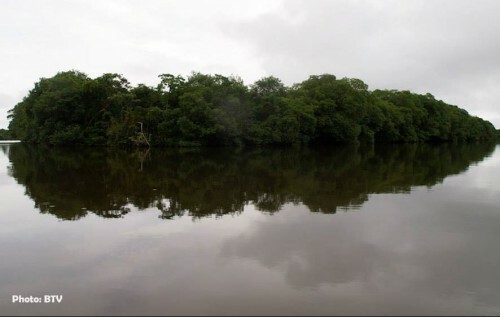 July 30, 2015–Scores of Belizeans are being offered the opportunity to be a part of a historic expedition to Sarstoon Island, near Belize’s natural southern boundary with Guatemala, on Sunday, August 16, 2015, when the Belize Territorial Volunteers (BTV) will lead a boat trip of Belizeans from various parts of the country to witness the unveiling of a flag monument on the island. In May, Belize Coast Guard officials were recalled from a reconnaissance mission to the island after Guatemala Navy officers—who claimed it as a part of their country but who could not produce a supporting map—challenged their presence there. 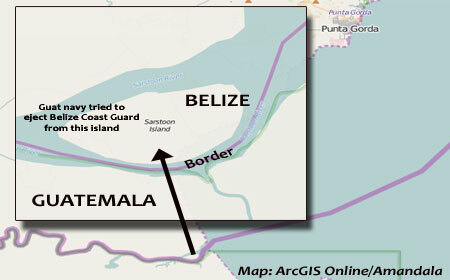 The Belize Coast Guard—which initially stood its ground and camped on the island until a directive came from Prime Minister Barrow for them to cut their mission short—was able to produce a map showing the Guatemalans that they were squarely located inside the internationally recognized territory of Belize. 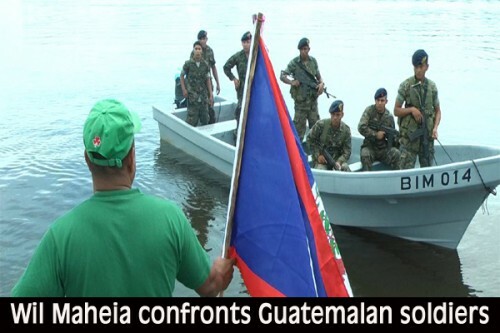 Two years ago, in September 2013, the BTV led a similar expedition to Sarstoon Island with roughly 20 Belizeans, and likewise, members of the Guatemalan Armed Forces (GAF), challenged their presence on the island; although the BTV still persisted to erect a Belize flag there. Philip de la Fuente, a BTV member who is organizing supporters for the mission from the northern districts of Orange Walk and Corozal, is unfazed. He told Amandala that their first step has been to draft letters to the Minister of National Security and the Minister of Foreign Affairs, as well as Belize’s Ambassador to Guatemala, H.E. Alexis Rosado, informing them of exactly what the BTV will be doing. He said that they had also offered to donate 2,000 blocks towards the construction of the FOB on the island. De la Fuente, a former Orange Walk mayor who served as a member of the ruling United Democratic Party, told us that he does not want to sound anti-government. He said that their group is strictly apolitical, supported by Belizeans who love their country. We told de la Fuente that the Foreign Minister has just said that the need to “define and demarcate” the country’s border is exactly why they persist that Belize and Guatemala need to go to the ICJ. “The ICJ cannot protect our borders for us. If we go or don’t go to the ICJ, we have to protect our borders,” he said, adding that the process will impoverish the nation of millions of dollars which would be needed to pay lawyers to fight Belize’s case. “What if it is the only way to get a final and definition solution in Belize’s favor?” we asked. “Even if we go to the ICJ and get a definitive answer from the ICJ and the ICJ tells Guatemala, ‘Look, Guatemala, you have to drop the claim from Belize,’ who do you think will have to enforce that and will have to protect our border? It still boils down to our Government… the US won’t do it,” de la Fuente answered. We asked him what the BTV hopes to accomplish through the August 16th visit to the Sarstoon Island. “We are basically acting like a tour guide group. We are taking people out to show them that this is a beautiful country and it is necessary for our government to protect it,” he replied. He said that a lot of Belizeans have never been to the island, and he pledged, “we will make sure that we do not even venture over the other side of the river,” because, he said, they want no trouble with Guatemala. The Orange Walk contingent leaves the barracks in that town at 12:00 a.m. Sunday and makes its way to Punta Gorda, for the Sunday morning expedition to Sarstoon Island. De la Fuente said that they will erect a flag monument on the island. The group will also make a presentation on the 1859 boundary treaty between Britain and Guatemala.